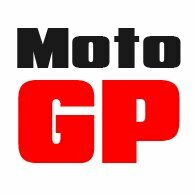 I went up to Birmingham mid-November to visit the NEC Motorcycle Show. My fingers got freezing cold. I actually thought they were going to drop off. No two ways about it; next year I’m going to wear gloves, because it’s a good 10 minute walk from the car to the halls! But if you’re actually riding a motorbike in this kind of weather, you really do need to look after your hands. When we head out for a ride, we all tend to make sure we keep our bodies and our core warm, by adding layers but, at times, we give less thought to our hands, which is a mistake. A big mistake. 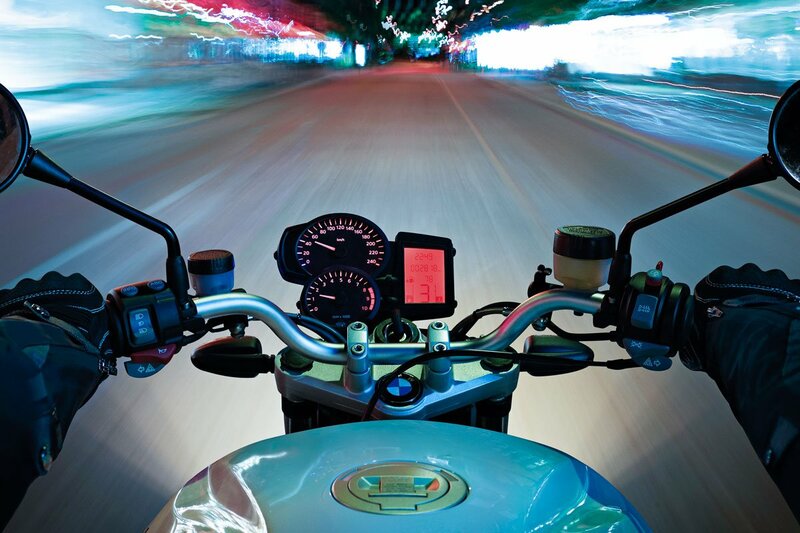 There’s nothing that is more distracting and debilitating than riding with cold hands. It can be painful, and that pain can make it impossible to concentrate. Carry on riding, and eventually you’ll lose all the feeling in your fingers. You’ll reach a position where you lose the ability to apply the controls. And obviously that’s horribly dangerous. 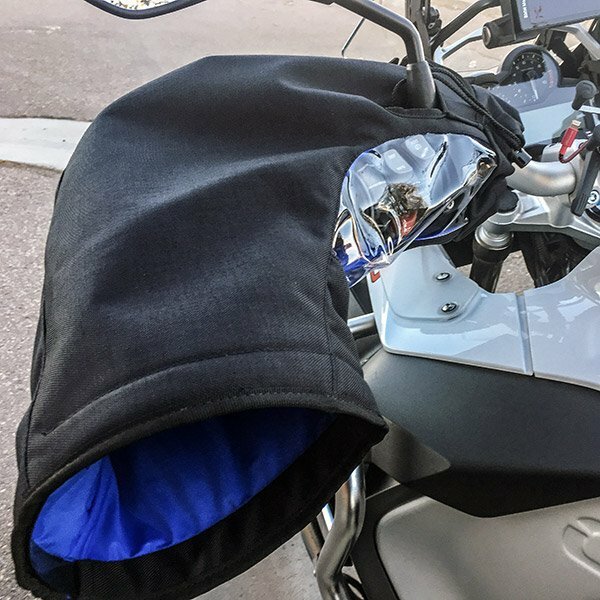 There are three solutions to the problem of cold hands on a motorbike. 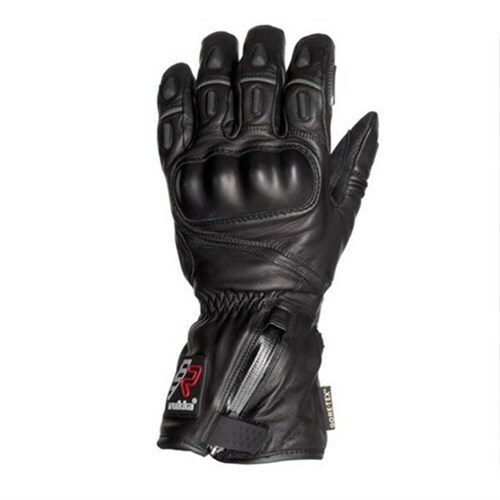 Electrical heat applied through the grips or gloves. Hand guards and muffs. Or insulating gloves. Here we’re going to give you some advice on the latter, although we’ve got nothing against the former. 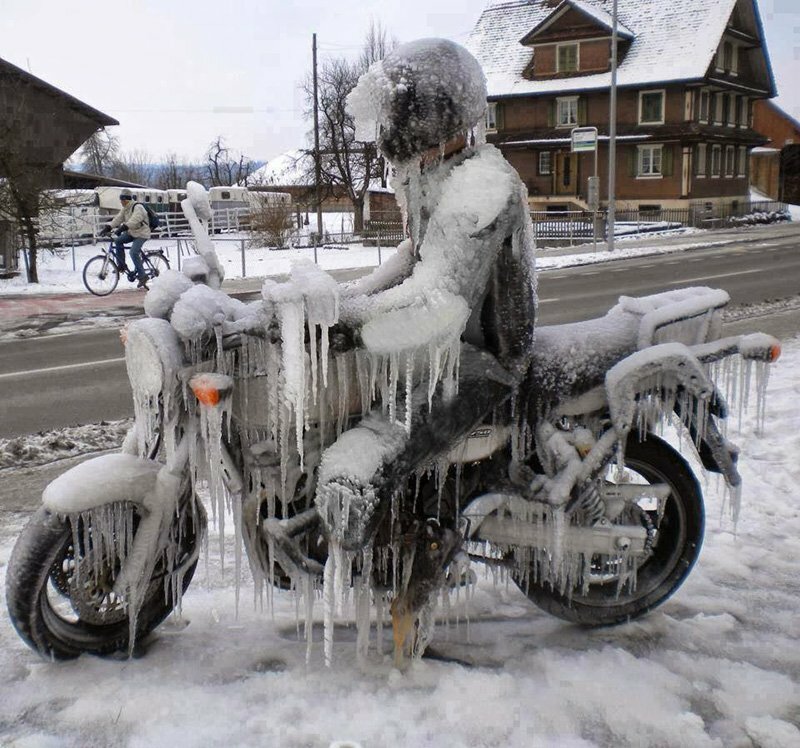 In fact, we’re all for doing whatever you can to keep your hands warm on the bike. Do whatever it takes. You need to do what you need to do. Now, the reason your hands get so cold on the bike is that there’s a lot of skin on your fingers that is exposed to the elements, even when you’re wearing gloves. 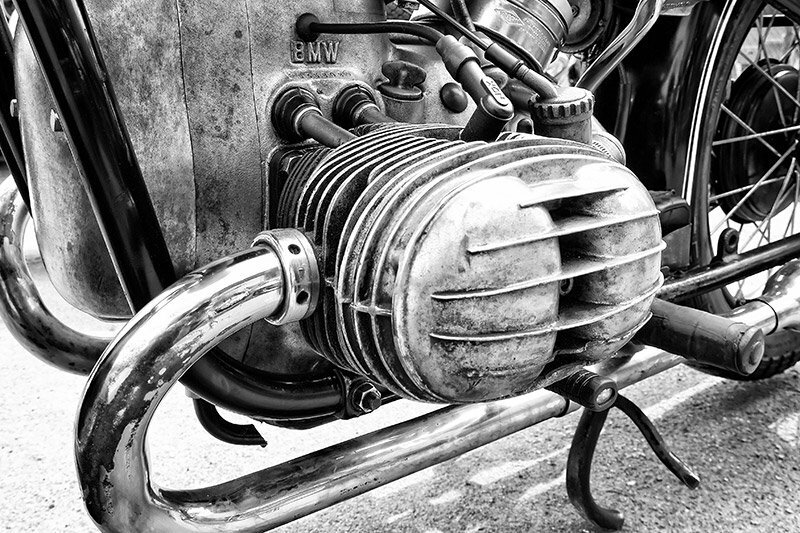 Think of your fingers, as the fins on an air-cooled engine. These fins help dissipate heat from the engine, and at the same time provide a large surface for the cold air to cool it down. Your fingers, quite unhelpfully, do a similar job for your hands. The real killer, of course, is the wind chill factor. At 10 mph, an air temperature of 10 degrees will feel like minus four. At 30 mph, a temperature of five degrees will feel like minus 19 degrees. Pick up the speed a bit, and at 60 mph, minus five becomes minus 26 degrees. That’s Antarctic cold. This is fingers having to be amputated cold. This is Ranulph Feinnes cold. 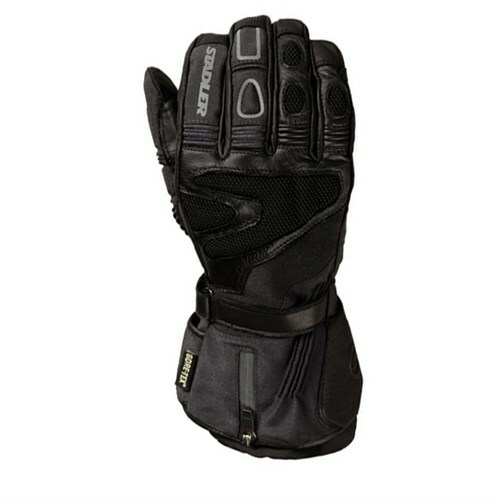 Which is why, in the winter, you don’t just need a pair of gloves, you need a thumping good, heavy-duty, pair of gloves. 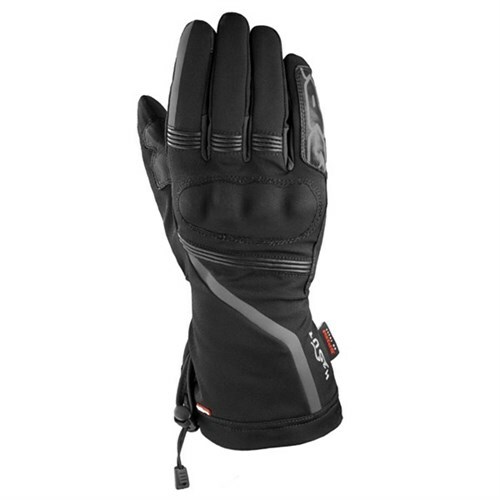 The gloves you need will depend, to a degree, on what kind of riding you do, whether you’ve got heated grips, and so on. In town, for example, you may think you can make do with lighter, thinner gloves because you’re going to be riding less quickly. And thinner gloves are great when you’re gently feeding the throttle in, and so on. But if you are using the clutch and changing gear a lot, your fingers will be coming into contact with the freezing cold metal surfaces of the levers much more, and this will make your fingers feel colder. And, although you might have heated grips, the underside of your fingers won’t be in touch with them a lot of the time. Out of town you won’t perhaps be changing gear as much, but you may well be travelling much more quickly, thus experiencing much more serious wind chill. Winter gloves come in all shapes and sizes. Shorter cuffs, longer cuffs. Leather. Textile. Twin chamber. Mittens. 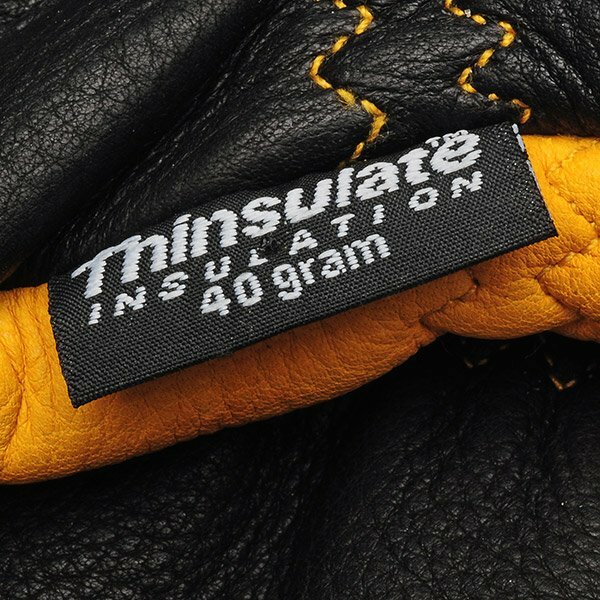 Thinsulate. 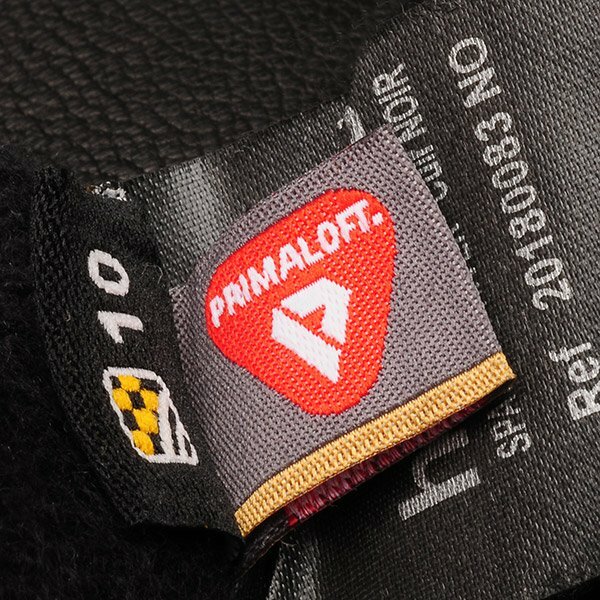 Primaloft. Outlast. The list of options is as endless as it is confusing. And there is no correct solution that will work for everybody. We all react differently to the cold, and what works for me, for example, won’t necessarily work for you. Nevertheless, here are our thoughts. Mittens are great. They look weird, but the good ones have two finger compartments so that you can brake and change gear with two fingers. They keep your hands warmer because, basically, your fingers keep one another warm. And because they reduce the amount of skin that is open to the elements. Mittens work particularly well, in our view, with silk inner gloves. But silk inners work with all gloves, provided there’s enough room for them to move about inside the glove. It’s the friction that generates heat with a silk glove, and if the glove is too tight the friction will be minimal. Some people don’t like the way mittens look. But our view is that staying warm is more important than looking cool. Get over it, or get cold fingers. It’s not a fashion parade. We are not, by contrast, great fans of gloves with two separate compartments. We don’t think they work in the way they’re supposed to. 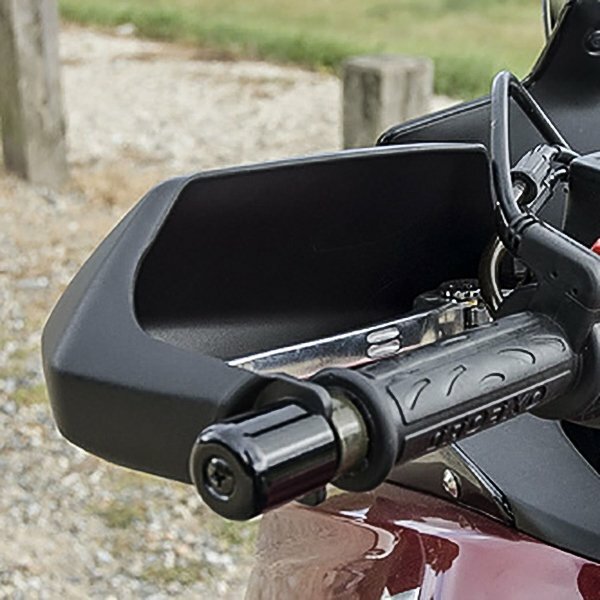 You’re meant to put your hand in the lower chamber when it’s cold, and in the upper chamber when it’s less cold, but when you use the upper chamber you lose all the feel you need to control the bike. That’s just daft, in our book. 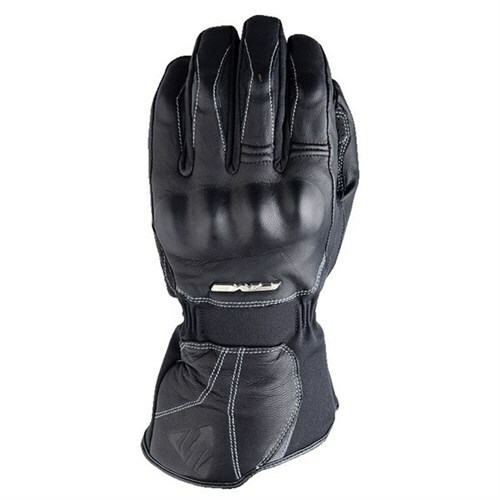 Coincidentally, and purely by accident, if you keep your hands in the lower chamber, such gloves do work well with heated grips, because the heat easily transmits to the fingers, and the backs of your hands are well insulated. But this is not what these gloves were designed to do, and these gloves are an expensive way of doing this job. Better to buy something like Racer’s Carbon II gloves that are designed specifically with this purpose in mind. Thin padding on fingers and palms. Lots of padding on the back of the hand. 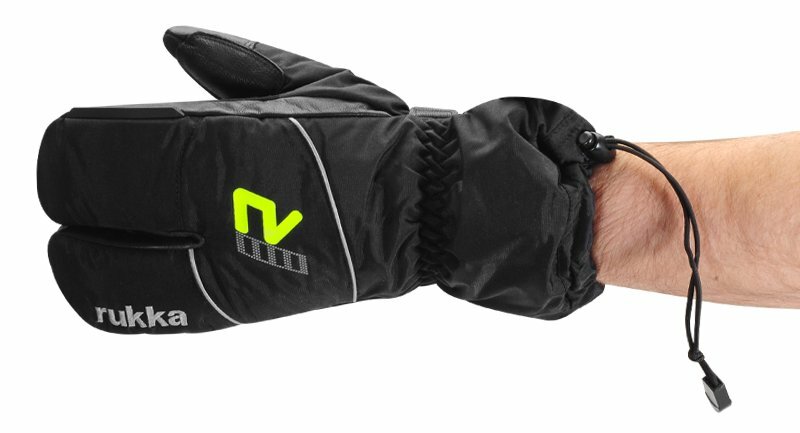 To us, it goes without saying that any winter glove should be waterproof. A wet hand is one that is going to get even colder. A waterproof membrane, of course, is also a windproof membrane. And reducing the chilling effects of the wind is a vital component in staying warm. 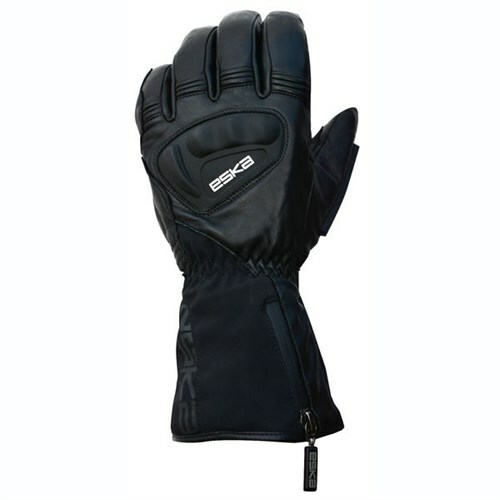 We would also suggest that, in a proper winter glove, the more textile, and the less leather, the better. 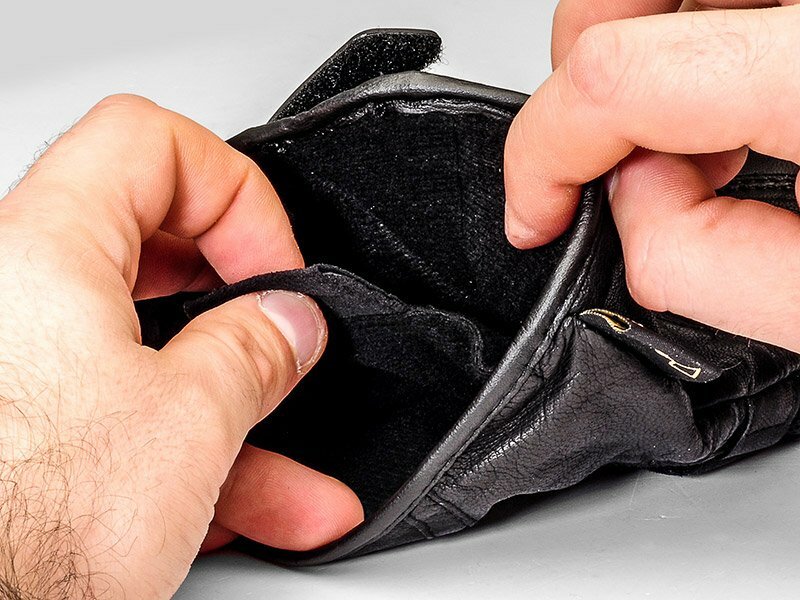 There are some famous and expensive winter gloves on the market that are made entirely of leather; and in our view they’ll absorb the rain like a sponge. Again, a wet glove isn’t helpful when you’re trying to stay warm. Of course, most of us like a leather palm but, where possible, we would always prefer a textile chassis. Obviously, you’re better off with a mid-length cuff. It will prevent drafts and stop rain getting to your hands. The cuff of the glove should be worn under the cuff of your jacket. This is not, as some suggest, an age-old debate. Or if it was, it should come to an end now. On a winter glove, you should wear the cuff of the glove underneath the cuff of the jacket, in order to prevent rain running down into the fingers. Wearing your gloves like this will also prevent drafts from making your hands feel cold. Only if your glove has a really long, drawstring-tightening cuff should you wear it outside the sleeve. Now, of course, the main way a glove keeps you warm is the insulating wadding or padding that is inserted in between the external surface of the glove and the comfort lining that sits next to the skin. In cheaper gloves, this wadding is often quite low-tech, and you will need loads of it to keep you warm. That’s why cheap winter gloves are often heavy and cumbersome. More expensive gloves use premium thermal linings like Primaloft and Thinsulate that insulate your hands without excessive bulk. A glove that uses a high- quality insulating material will keep you just as warm, but you’ll also be able to feel what’s being transmitted through the bars. Outlast is a thermal technology that also works well in the winter. 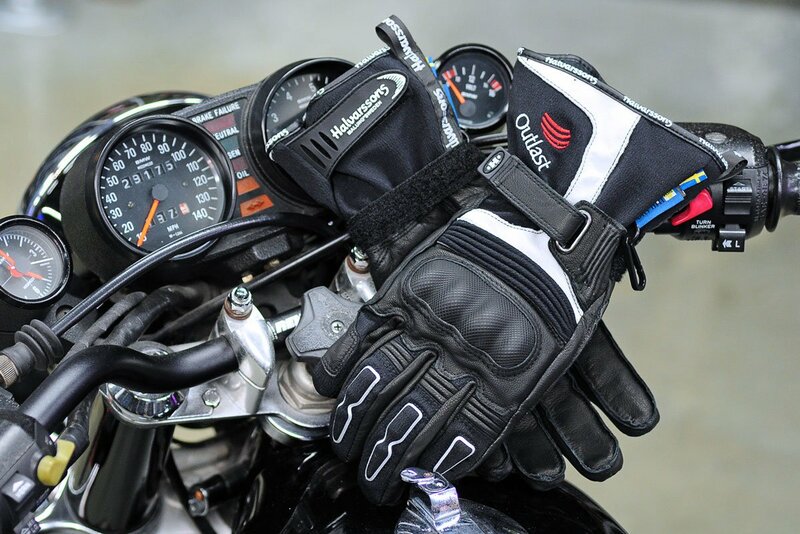 Outlast gloves are particularly effective with heated grips because the heat in the Outlast membrane passes from the palm of the glove right round to the back of the hand. 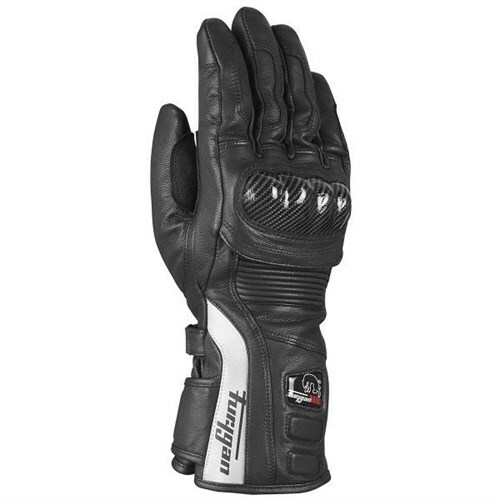 But if you’re wanting to wear Outlast gloves in the winter, you do need to get heat into them before you set out on a ride. Leave them by the radiator. Or wear them for 10 minutes before you go out. They need heat in them, so that the heat can be transferred to your fingers when they get cold. Which brings us, lastly, to fit. You don’t want a winter glove to fit too tightly. You want the heat from your fingers to be able to circulate around the hand. And you particularly need some space at the ends of the fingers. 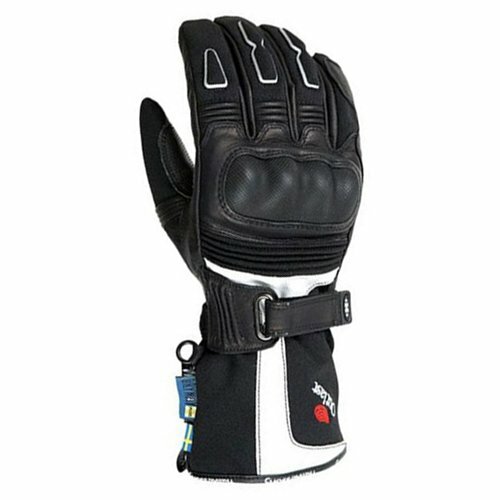 If your finger tips touch the ends of the glove’s fingers, when you’re riding, blood won’t flow there, and they’ll quite quickly become brutally painful. One hint: when trying a winter glove for size, wrap your hand around a handlebar grip to make sure there’s still some space at the ends of the fingers. At the ends of all of the fingers! There is one other small point we’d like to make; and it’s about laminated gloves, where the waterproof membrane is bonded to the outer material. We’re talking about gloves which use waterproofing technologies like Outdry, mcFit, Extrafit or Gore-Grip. Now, in theory, these gloves will be more waterproof, and they won’t ‘wet-out’. A dry hand is clearly better than a wet hand when it comes to staying warm. But the problem is that a laminated glove has fewer layers in which the air can be trapped, and so a laminate glove will not always be the warmest option. We’d say that a laminated glove is great for summer rain, but not so good for cold, winter rain. Just thought you should know. 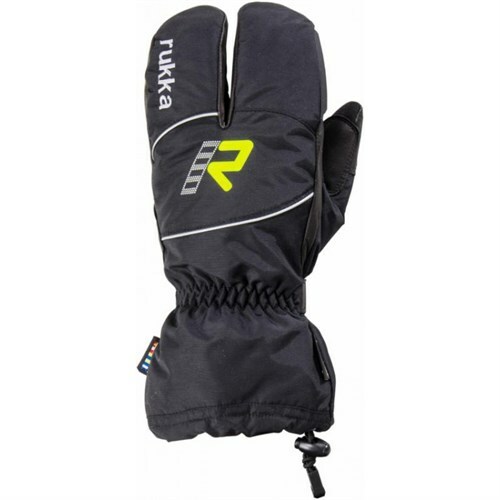 Anyway, below we’ve listed some of our favourite winter gloves. If you want to try before you buy, come and see us. We’re always happy to offer suggestions.